Krispy Kreme Franchising or DetailXPerts Franchise Opportunity? In this article, we will compare two franchises: DetailXPerts and Krispy Kreme franchising, to help you decide which one is the best option for you. With its rising popularity, Krispy Kreme franchising is more tempting than ever for would-be entrepreneurs. Krispy Kreme has become a household name. It is one of the top doughnut store franchises. But is Krispy Kreme franchising the best option for you? How does it compare with an auto detailing franchise business option? In this article, we will compare the two franchises, Krispy Kreme franchising and DetailXPerts franchising, to help you decide which one is the best option for you. Krispy Kreme belongs to the doughnut stores industry, which sells not only doughnuts, but also other baked treats, coffee, and other similar beverages. Amazingly, the doughnut stores industry was not greatly affected by the recession. Franchise Help reports that its revenue increased by 2.5% in the last 5 years. This is despite the recession. The doughnut stores franchise industry is even expected to grow all through 2017 as overall consumer spending rises. While it is true that Americans have become more health-conscious than ever, it looks like the doughnut franchise business has continued to survive and surpass expectations. The demand for doughnuts is actually rising, which benefits the doughnut industry as a whole. 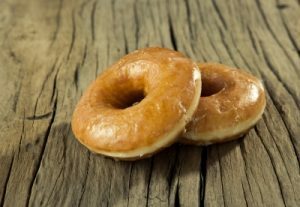 An IBISWorld Report shows that the doughnut stores industry has an annual revenue of $14B with 7,608 existing businesses. Its annual growth from 2011 to 2016 is calculated at 4.7%. DetailXperts, on the other hand, belongs to the car wash and auto detailing services industry. Also one of the fastest growing industries today. In Franchise Direct’s 2013 Automotive Franchise Industry Report posted in a DetailXperts’ blog, overall aftermarket sales in the United States have been increasing from 2010 to 2012: $285B in 2010, $297B in 2011, and $307B in 2012. Overall sales just keeps on increasing! IBISWorld reports in 2016 that the annual revenue of the car wash and auto detailing in the United States is at $10B, with an annual growth of 2.9% from 2011-2016. There are reportedly 62,485 existing business in the car wash and auto detailing industry. Unlike the doughnut stores industry, no company has the sole dominant share of the market in this industry as mentioned in the same IBISWorld Report. The car wash and auto detailing services industry is projected to steadily grow in the next 5-10 years due to the following reasons: (1) the increasing trend in local regulations to prohibit residential car washing, and 2) the projected continuous increase in the number of vehicles in use in the whole United States. The initial investment required for Krispy Kreme franchising ranges from $275,000 to $1,911,250, depending on the concept you choose. The brand has posted the breakdown is as follows as posted in their website and from Franchisehelp.com. Entrepreneur.com reports that Krispy Kreme was founded in 1937 and started franchising in 1947. It has a variety of prototypes available: factory store, fresh shop or kiosk, and commissary facility. However according to their website, they don’t offer franchise agreements for fresh shops or kiosks on an independent basis. They only offer it to existing Krispy Kreme franchises that have at least one factory store or commissary facility. Krispy Kreme provides a vigorous training program for lead operations personnel, General Managers, and Assistant General Managers. Krispy Kreme offers in-house financing available to cover equipment and has third-party financing to cover start-up costs, equipment, and inventory. DetailXperts, compared to Krispy Kreme, may be relatively young. It was founded in 2004 and started franchising in 2008. But the brand can definitely offer the same support to its franchisees. Perhaps, even beyond! It is an eco-friendly car wash business with a patented cleaning system that can save water by using only two gallons of water for every 15 vehicles washed. What’s more, all of this is done without harsh chemicals that harm the environment and your car. DetailXperts can boast of opening your own business in less than a month due to the strong support they provide their franchisees. Franchisees will receive up to 40 hours of classroom training in addition to on-site training, marketing training, and reference tools according to Franchisehelp.com. DetailXperts also offers financing available through a third party. There you have it, the comparison between Krispy Kreme franchising and DetailXperts franchising. When deciding which one to franchise, there are some things to consider. Is your passion food or cars? Krispy Kreme is not exactly what you may call healthy food, while DetailXperts is an eco-friendly enterprise. Are you more inclined to pursue a business with social responsibility? Krispy Kreme has been around longer than DetailsXperts. You also have to consider if you want to go with the brand that has been in the industry for more than 50 years. Don’t forget there is always an option to go with a relatively new brand that is rapidly growing. Lastly, you have to consider your finances. Your budget is also another factor that you have to consider. Which one can you afford? They both have different financial requirements, Kripsy Kreme being more expensive than DetailXperts. Make sure you ask yourself, “What are the long term rewards of your choice of business venture?” Both are profitable ventures that promise huge revenues. It all goes down to what is tailor-fit for you. The choice is yours! Check out an opportunity with DetailXperts and we can help you make a wise decision.